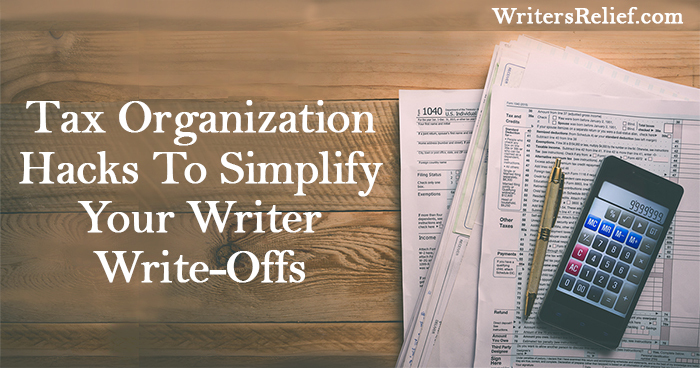 Tax Organization Hacks To Simplify Your Writer Write-Offs | Writer’s Relief - Writer's Relief, Inc.
Keeping track of your creative writing expenses in order to claim self-employment business write-offs on your tax forms can be a huge hassle. But not tracking these expenses throughout the year could lead to backtracking and scrambling, a loss of precious writing time, or costly tax mistakes and penalties. At Writer’s Relief, we know keeping your creative writing expenses organized doesn’t have to be a chore. Use our tips to create a simple system that will save you time, make your self-employment expense tracking more accurate, and keep your stress levels down. And there’s no better time to start than right now! Keep your writing income separate. When making a bank deposit, get receipts that include images of your checks—and create separate transactions to keep writing and non-writing income apart. Stash your bank deposit receipts for writing separately from your other income. Have a designated spot for printed receipts. Keep your receipts from office supply stores and writing conferences all in one specifically assigned place; use something as simple as a shoe box or as fancy as a month-by-month file folder. HELPFUL HINT: The easier it is to drop your receipts and go, the more likely you’ll actually use your system. If you find you get into lazy habits that sabotage your organization, consider how you might tweak your system to make it more doable. Create a folder in your email inbox for digital receipts. 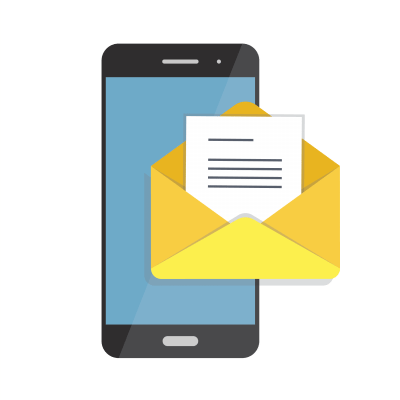 Every time you receive a digital receipt for a service, monthly fee, or online order, you can either print it and put it with your hardcopy receipts, or move it into a specified folder in your email inbox to save for later. Whichever way you choose, be consistent to save yourself the trouble of sorting through potential duplicates later on. Designate one credit card for creative writing expenses. Keep your credit card transactions sorted by using one card for all your potential writing expense write-offs—and nothing else. If your credit card company offers a comprehensive end-of-year statement, that’s even better. Many of these are itemized by payee categories—which can make your life a lot easier when you’re trying to figure out how much you spent on categories like Internet, supplies, dining, or travel. HELPFUL HINT: Before you choose your creative writing expenses credit card, ask lots of questions about what kind of year-end statement you’ll receive. Some companies offer detailed statements; some don’t—and some don’t manage to send over that valuable information until well after tax season (which will do you no good). Embrace “old-fashioned” checkbook techniques. You may or may not keep the kind of handwritten checkbook register that previous generations embraced, but either way, consider ordering checks that allow for carbon copies of every check you write. You’ll eliminate that age-old question: “What did I write that check for again?” And you’ll minimize the possibility of missing write-offs. HELPFUL HINT: Consider storing copies of checks written for writing expenses in the same place you keep your printed receipts. Track everything in a program like Quicken. To really be sure all your creative writing expenses are grouped into easy-to-understand categories, track ALL of your expenses, personal and business, in a software program like Quicken. 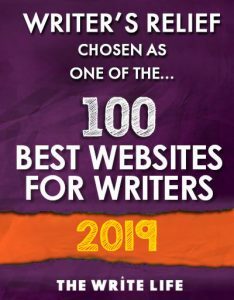 Want More Creative Writing-Related Tax Info? Check Out These Great Articles! Taxes For Creative Writers: What Expenses Can You Write Off? Caveat: We’re not accountants or attorneys, and this article is for information purposes only. Always speak to an accountant about your personal tax situation. Tax laws are constantly changing, so always check for the latest updates via official channels. Question: What tips can you share for keeping tax information organized? ← Congratulations to our 25th Anniversary 25-Word Contest Winners!